Penelope Smith worked for 20 years as a curator of prints and drawings at the Joslyn Art Museum, where she has originated print exhibitions on a wide variety of topics. She received her bachelor’s degree in history from the University of Nebraska and attended graduate school at the University of Virginia, Charlottesville. 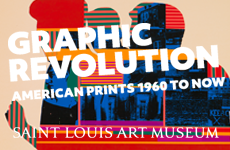 Smith is currently cataloguing and curating graphics for El Museo Latino in Omaha.